If the Item's view type has changed or ItemAnimator returned false for this ViewHolder when canReuseUpdatedViewHolder(ViewHolder, List) was called, the oldHolder and newHolder will be different ViewHolder instances which represent the same Item. In that case, only the new ViewHolder is visible to the LayoutManager but RecyclerView keeps old ViewHolder attached for animations.... 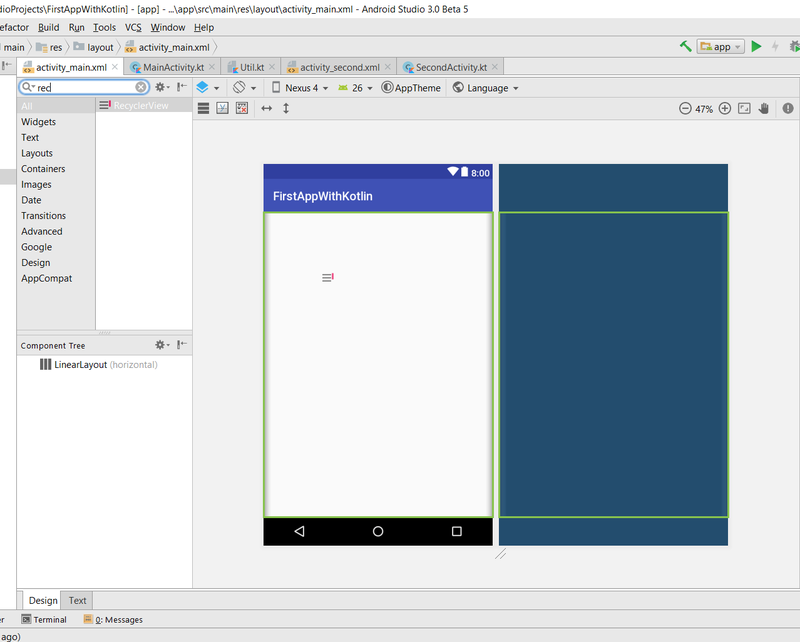 The layout is the view that will be created for each item to be loaded into the RecyclerView. A ViewHolder is used to cache the view objects in order to save memory. The adapter creates new items in the form of ViewHolders, populates the ViewHolders with data, and returns information about the data. Create the view holder for your view items, hook up the data source of the RecyclerView and handle the view logic by creating a RecyclerView Adapter. Attach the adapter to the RecyclerView. Step one should be familiar. To do that right click app -> new -> Sample Data directory. Give it a name as sampledata. Create new Text file under that sampledata and give it a name as movies_name and fill it with some movie name.